During this workshop we will paint a beach at sunset using an indirect method of painting. An indirect method of painting refers to building the painting in layers of paint, working “fat over lean” adding details and adjusting colors as one progress through the painting. This approach allows you to obtain more depth and detail in a painting. The aim of these workshops is to help participants understand the use of color and how to develop a painting using multiple layers of paint while looking at composition, colour, tone, texture and edges. We will start the day with a brief introduction on oil painting and materials that we are going to use. We will then introduce landscape painting and the methodology we are going to use to paint this painting. We will then start working on the painting itself. We will first sketch the picture on the available canvas and start mixing colours. By the end of the day we will have a finished painting everyone will be happy to take home. All materials covered… brushes, palettes, and paints! An eagerness to learn something new! Bring clothes you don’t mind getting paint on, or an apron. 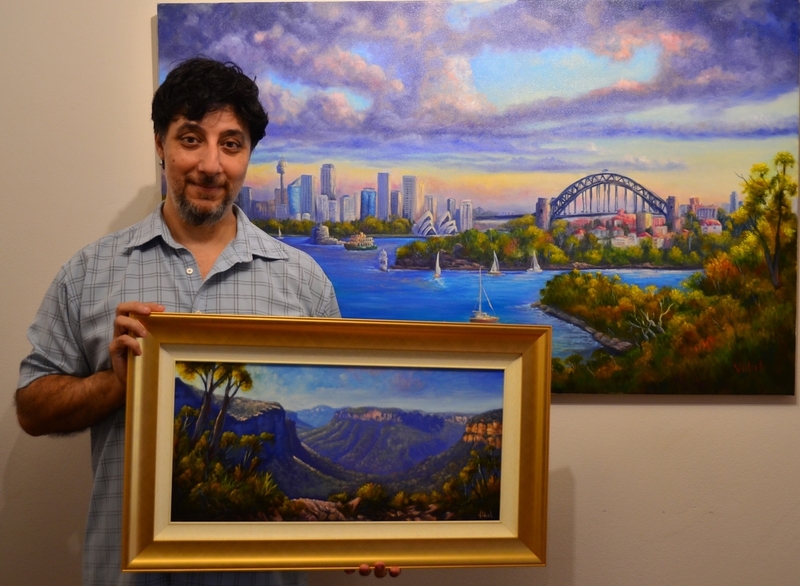 Currently living in Sydney, Maltese-born Christopher migrated to Australia in 2009. His love for the arts started when he was very young. For two years he attended the School of Arts at Palazzo de La Salle in Valletta, Malta. After finishing his academic studies Christopher worked as a medical researcher in Malta and Australia, however his innate love with painting remained. More than ten years ago he started painting with oils and he fell in love with this versatile and dynamic medium. Traveling around Australia gave Christopher more inspiration and motivation, and since 2012, he’s been painting almost every day and exhibiting his work in various art shows in Sydney and surrounding areas. As an artist he expresses himself in his paintings, especially when painting landscapes. His inspiration comes from his love of the arts, science, nature and what is around him. Christopher’s works are found in private and corporate collections in Australia and Internationally.